Narvaez, a professor of psychology in the College of Arts and Letters, is one of 22 scholars who will be inducted as fellows at the AERA’s annual meeting in Washington, D.C., on April 9. “I’m honored that my scholarship has been recognized by my peers. It is thrilling to be named to an elite group of scholars who contribute to society in terms of education and development,” Narvaez said. AERA is the largest national interdisciplinary association devoted to the scientific study of education and learning. 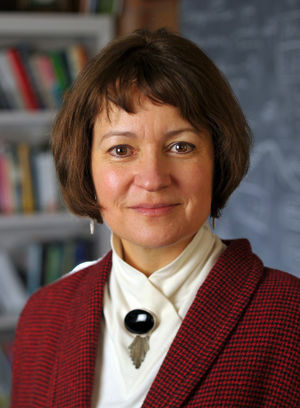 Narvaez, who joined the Department of Psychology in 2000, has published numerous books and articles on moral cognition, moral development and moral character. She is a co-director of the interdisciplinary Self, Motivation and Virtue project and the Developing Virtues in the Practice of Science initiative. She is executive editor of the Journal of Moral Education and writes the popular Moral Landscapes blog for Psychology Today. Her latest book, “Neurobiology and the Development of Human Morality: Evolution, Culture and Wisdom,” won the 2015 William James Book Award from the American Psychological Association. The honor recognizes a work that brings together diverse subfields of psychology and related disciplines and demonstrates an essential underlying set of themes that serve to unify or integrate the field. She is currently planning a symposium, to be hosted at Notre Dame in September, called Sustainable Wisdom: Integrating Indigenous Knowhow for Global Flourishing. Originally published by Josh Weinhold at al.nd.edu on March 13.